(Igneous processes means that I teach all about magmatism, and the formation and behaviour of igneous rocks; but my research is on active volcanoes). At school, I studied sciences to A level (Maths, Further Maths, Physics and Chemistry). I then went to university where I specialised in Geological Sciences (or Earth Sciences) as a first degree. I then studied for another four years, to complete a PhD (a doctorate), specialising in volcanology. 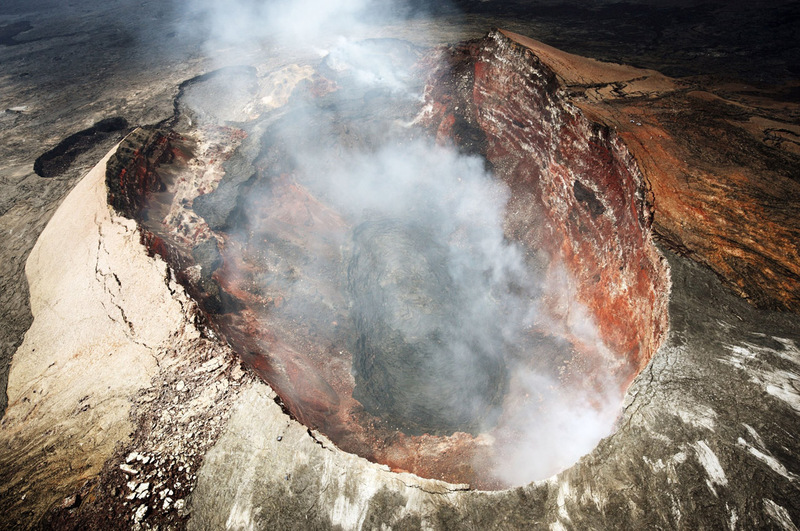 What exactly does a volcanologist do? I am an academic researcher, and I work mainly on young or active volcanoes. My main interest is in trying to understand how volcanoes behave, and how and why they erupt. For this mainly involves extended studies of individual volcanoes, looking at the distribution, composition and ages of the rocks they have erupted, and then using to try and work out what may happen in the future. What sort of organisation do you work for? I work for a university, where my main job during term time is to lecture/teach. Many of my former students (or those who have completed PhDs with me) have also gone on to careers in volcanology - some in universities, some in volcano observatories, and others in the insurance/risk industry. Do you travel within the UK or overseas very much? A mixture of enthusiasm (you will get far, if you enjoy what you are doing!) and dedication (not everything works the first time you try it! ); the ability to put up with being in remote, unfamiliar or uncomfortable places (or 48-hour shifts on a beamline...), and an eye for detail (field geology is a lot about making observations and connections). As a researcher you also need to be able to write, to think clearly, and to enjoy working with other people. Most of my work involves collaborations - with scientists overseas, and with colleagues and students back in the UK. As a volcanologist, you also need a bit of common sense: no data point is worth taking unnecessary risks for! There's always something new to learn, and every day is different whether in the office, the lab or the field. I have the great privilege of working in some amazing places around the world, and the pleasure of working with many different people from day to day. For me, my fascination with volcanology began when I saw my first volcano at the age of seven; it then became my hobby, and is now my job. The advice I would give, and would have wished to have, is to say just that: that you can follow your dream to find a career in (geo)science that suits you.